Ace Glass Claisen Adapter 14/20 Joints Three-Way Connecting Tapered Bottom Tip . New Life Scientific, Inc. 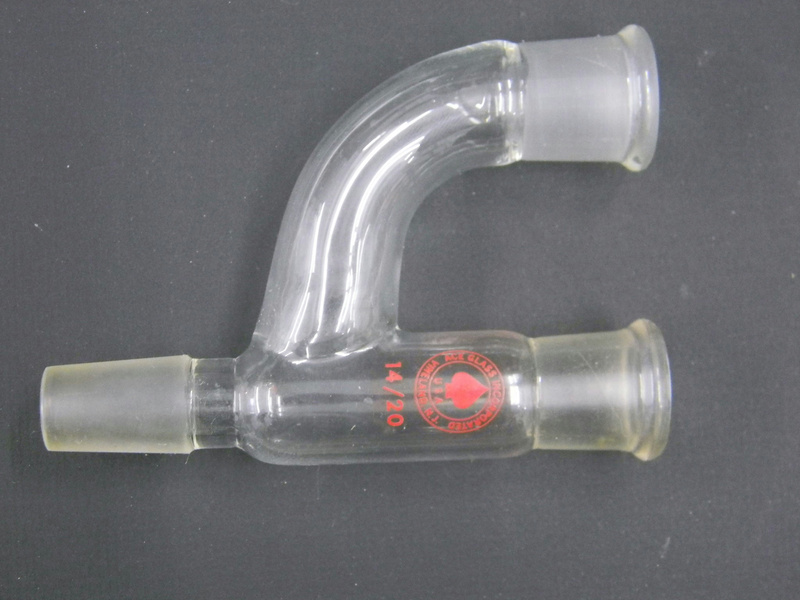 This used Claisen adapter glassware was originally acquired from a US pharmaceuticals lab along with a Mettler Toledo MultiMax System. There are no visible cracks or chips to the glassware that would hinder its efficacy. Retail price $62.20 -- Buy now and save. Description: Three-way connecting Claisen adapter 14/20 Joints, tapered bottom no chips or cracks.